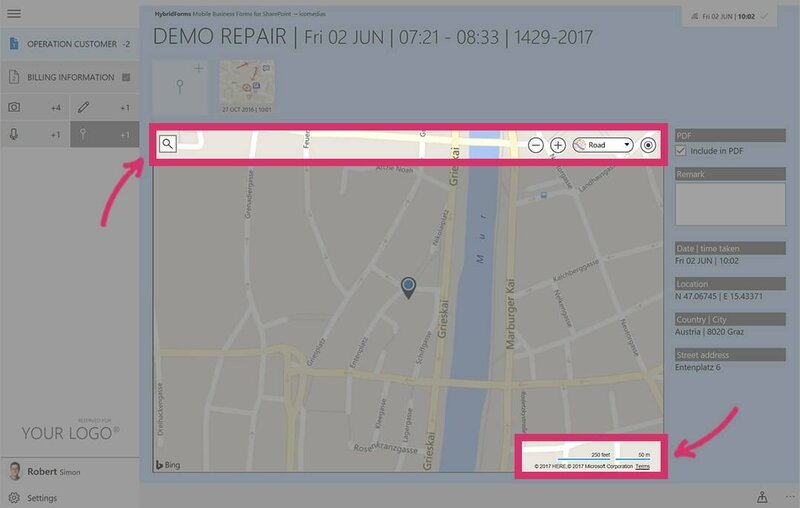 With this update, you receive three main changes for the Bing Maps functionality within HybridForms App. The look and feel of Bing Maps has changed. You do now have more functionality, such as retrieving your current position. However, the handling within HybridForms remains the same. 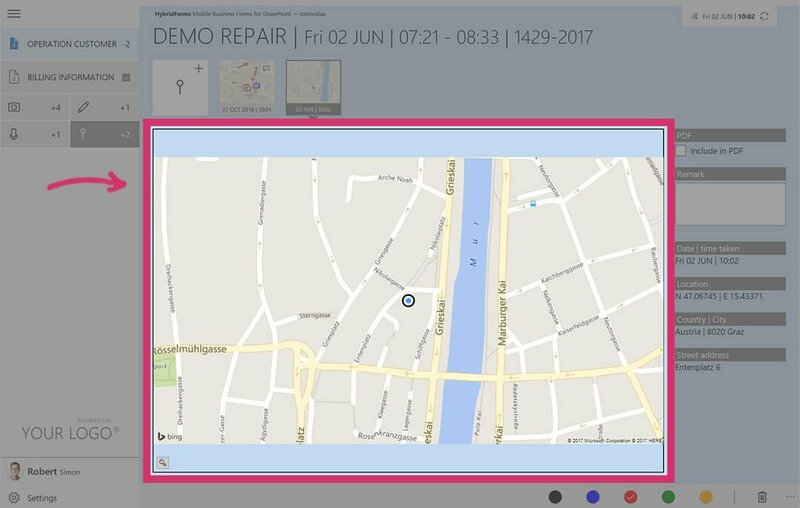 Bing Maps v8 is also optimized for mobile Devices, e.g. Phone. A shorter response time makes the whole feature even more faster.